Nike just introduced the EXP-X14 — but what the hell is it? Here’s all you need to know about Oregon’s latest performance-infused lifestyle sneaker. Firstly, the name for this new model is broken down into two parts. “EXP” stands for experiment — a huge part of Nike’s history and technology has derived from experimenting —, while “X14” was the originals internal code name given to the brand’s new cushioning system, now known as REACT. Aesthetically, it’s a modern update on the Nike Zoom Drive runner from the late ’90s. 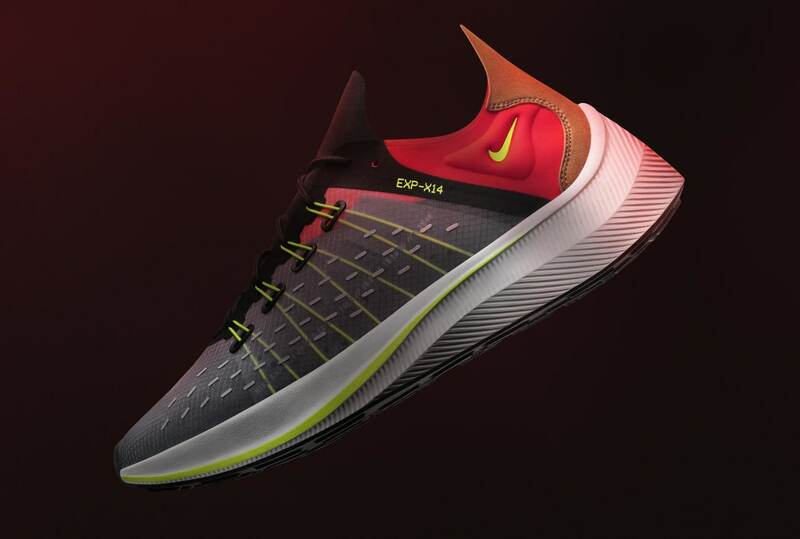 It features a translucent upper, perforations on the side panel for ventilation, and a midsole similar in appearance to the one seen on models like the Zoom VaporFly 4% and Zoom Fly SP. Debut colorways of the EXP-X14 include a black-based pair with infrared and volt accents sitting on a white midsole, and a blue-based pair with yellow accents atop a yellow midsole. Other small details include small Swoosh branding on the lateral heel and tongue, as well as “N3546” etched on the medial side panel as a nod to Steve Prefontaine’s fastest mile time of 3 minutes, 54.6 seconds. The Nike EXP-X14 will be available first in Europe on June 28, with the US release scheduled for July 5 via Nike SNKRS. Pricing is TBA.